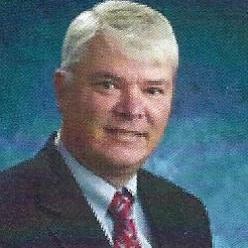 Seasoned attorney with over 30 years experience in corporate law both in law firms and as an in-house general counsel. Primarily serving as an outside general counsel coordinating legal support for companies that have not yet reached the scale to justify an in-house legal capability. Business oriented with focus on providing high quality legal support while controlling costs. This includes management of outside counsel. Michael Wasenius does not have any reviews yet. Senior lawyer responsible for transition of legal support following sale of Prudential Real Estate and Relocation Services to Brookfield Asset Management. Senior lawyer responsible for legal support and management of the law department of Prudential's real estate brokerage franchising and corporate and government employee relocation company. Senior lawyer responsible for legal support and management of the law department for one of the largest global corporate and government employee relocation companies. Senior lawyer reporting to General Counsel of publicly traded master limited partnership that held Merrill Lynch's residential real estate brokerage and corporate employee relocation companies. Responsible for legal support of Merrill Lynch Realty. Corporate attorney specializing in real estate and financing transactions. Focus on commercial real estate transactions including commercial mortgage backed securities financings, commercial aircraft leasing and general corporate work. Corporate attorney specializing in private equity financing including government backed small business loans.